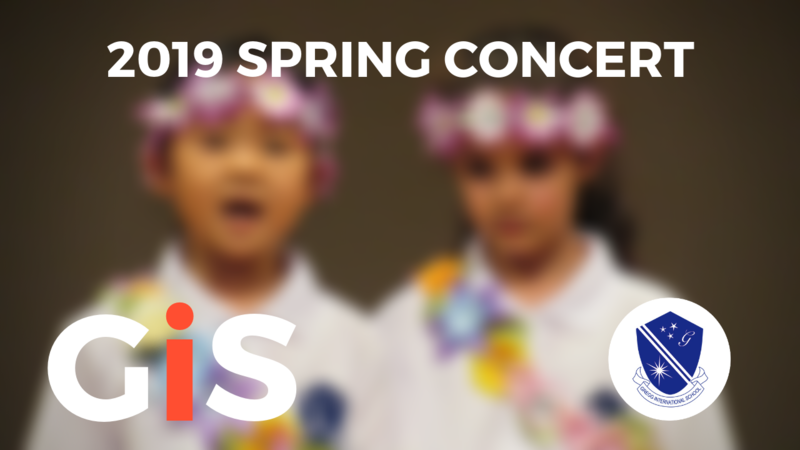 Our Gregg students recently had their spring concert on March 7th, and it was wonderful to see. Every grade level had their own play and it was fun to see how different everyone interpreted the theme for this year, which was friends and family. The kindergarten student’s The Funny Bunnies ~Home Sweet home~ was a story about bunnies enviously visiting different animal families, only to realize that everyone is different, and it is something to be proud of! Next was G1 – G2’s The Beautiful Garden, a story about two giants who learn that sharing is important, and furthermore makes everything more fun. G3 – G4’s play was Balto the Hero Dog, the true story about the famous Siberian Husky that delivered medicine to the Alaskan town of Nome. Last was G5 – G6’s I’m A Teenager Get Me Out of This Family, an epic story of two teenage girls searching for more “ordinary” parents, with a Men in Black inspired dance sequence to boot. The children were nervous yet excited to show what they had been practicing these past two months and it was the culmination of a lot of hard work. It was clear how hard the children practiced their play, and we couldn’t be more proud of them!